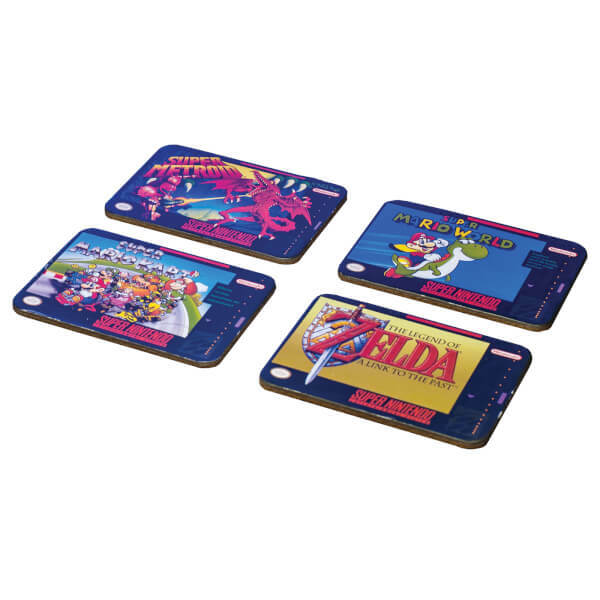 The perfect gift for any gamer, these four cork-backed drinks coasters take inspiration from some of the greatest games in history. 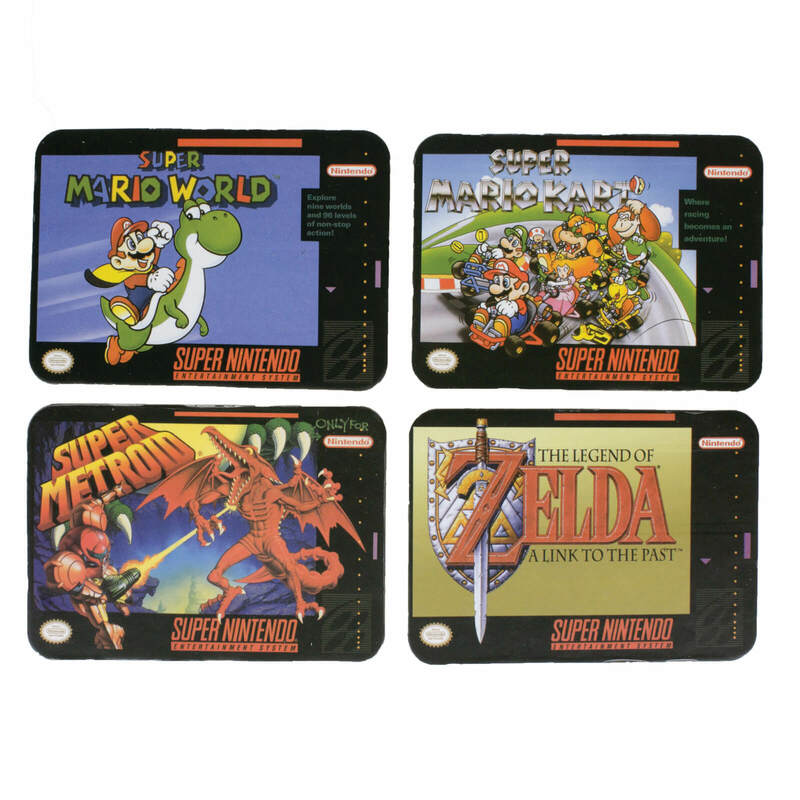 The Super Nintendo Entertainment System (SNES) Coasters feature classic designs from iconic Nintendo console games, including Super Mario World, Super Mario Kart, Super Metroid and The Legend of Zelda. 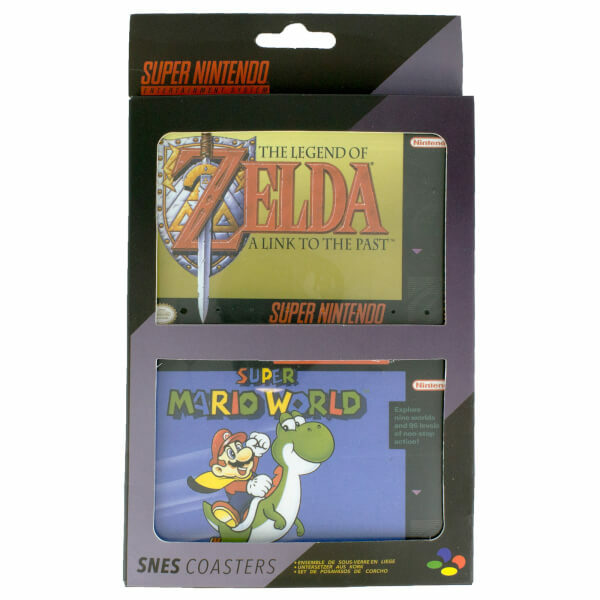 The SNES Coasters make a great gift for gamers. 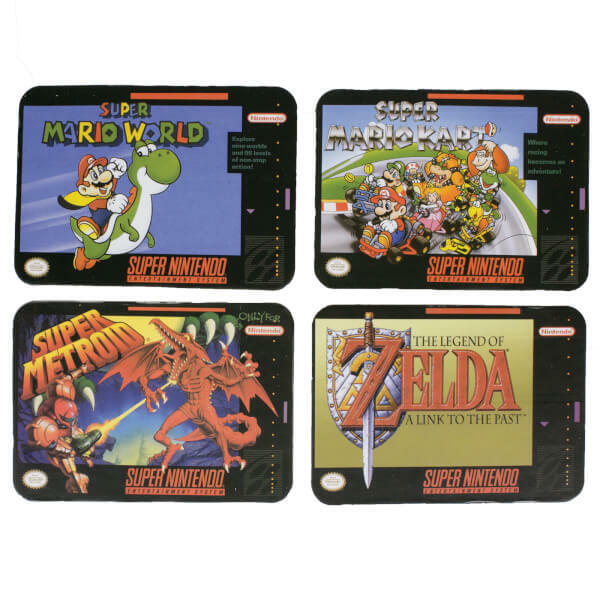 Protecting tables and surfaces; the SNES Coasters are an officially licensed product from Nintendo and feature box art from iconic Nintendo franchises!